Oculus Rift is launching today and I've been unable to wait for it. During the last week I have pretty much done nothing else but gazed the r/oculus and slept. Nothing else has progressed, especially after I saw how the Vive HMD felt like. On the Vive unit I tried, the screen-door-effect and the resolution was already tolerable. There were no nausea or latency issues I noticed on the short duration of use. The controllers were crazy much more useful than I thought. I believe touch controllers will be a mandatory buy along the Rift because they add so much to the experience. All interfaces made for Vive seem stupid, overly simplistic and too hard to use in the videos. In practice they are very intuitive and extend the ways you can use to interact in the VR. Even if I use keyboards every day, I believe the VR controller is capable of entirely replacing keyboards and mice in terms of efficiency. I'd have bought it anyway. I had my finger on the preorder-button before I heard about getting one for free, as I backed Oculus in kickstarter to get DK1. Also I'd have bought Rift. It's the one that put most to R&D their ergonomics. Facebook really put their money to push VR to the market and now I am happy that they did so by buying off Oculus. I expect the Rift arrival day to feel a bit like switching out from black and white text displays into the graphical user interfaces. It will change how I am working with computers and eventually I will only come back for legacy and nostalgia. VR lets you see virtual models as if they were real. With controllers you can position those models without complex mapping between your view and the input device. 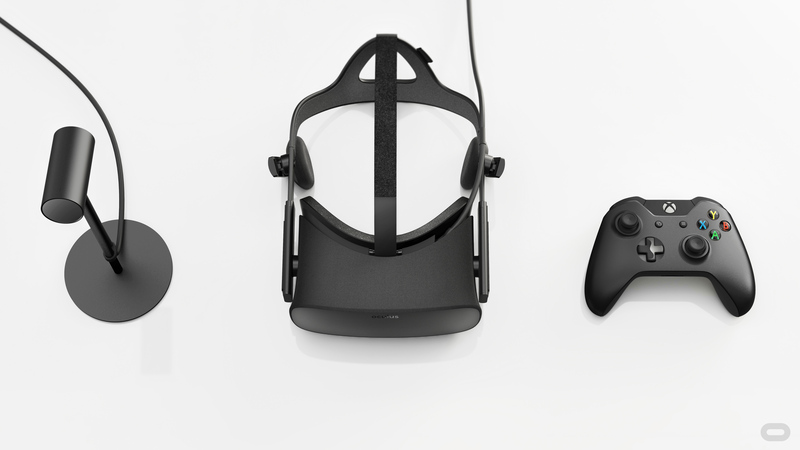 It'll be easier to program and much more intuitive for the user to work on 3D with VR. And this time you're really getting VR rather than a TV window inside a goofy hat. People are looking for the killer application for VR that will drive it mainstream. I'm starting to see that there's not just one such thing. Everything you bring to VR can become a killer application. Someone will buy it because he loves drawing into the air. Another buys it for shopping or virtual tourism. Then there's people who buy it for remote conferences or chatting. After that you find people who buy it for 3D modelling, or training, or for watching virtual theatre. And the list never ends.